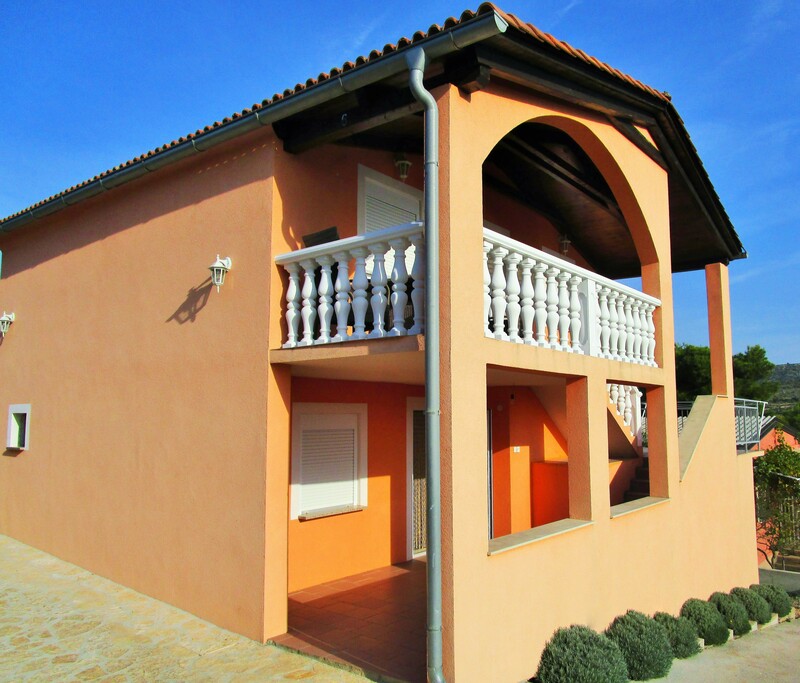 Information on apartments, holiday houses, and private accommodation on the Adriatic coast. Find cottage, villa or apartment for holiday in Croatia. The re-discovered tourist destination with its variety of holiday apartments Croatia has again made the leap into the top destinations in the Mediterranean. With its unspoiled nature, Croatia in environmental terms, one of the least polluted areas in Europe. No wonder - the construction of the new highway are now vacation destinations in southern Croatia to achieve good and fast. Thus the so popular among holidaymakers Croatian islands such as Rab, Brac, Hvar and Korcula better and faster can be achieved is given to the high season more ferries for the transport of holiday guests. In short - Croatia, with its accommodations, hotels and last minute deals on the way to the top. We want you to Croatia you a relaxing and pleasant stay in Croatia. Istria is the biggest peninsula of Croatia and one of the most popular holiday destinations of the land. The city of Savudrija which is visible with her lighthouse far away takes the most western point of the peninsula. The loo Rabac, „Perle of the Kvarner bay “, in the east Istriens situated, fascinates by numerous small bath bays. Here rest, the sun and sea join to a restful vacation. In the north Istria the places Umag and Novigrad which offer more than 50 km of breathtaking beaches are found. In the south Istria there is the place Pula which also has to offer an unforgettable history beside his nice beaches. Thus are found here the best of all preserved amphitheatre of the world as well as Roman temples, baroque palaces and remains of a medieval city wall. However, not only the blue Istria draws vacationer. Many visitors are also impressed by the green Istria with his vineyards, olive plantations and thick fir woods. Here are, above all, the travellers at home who want to enjoy the rest of the nature off the tourist metropolises. The ecotourism as well as the agrotourism increase here on and on. A popular destination for vacation in Istria is the national park Brioni which is convincing by an extremely well-preserved nature as well as biological variety. Nevertheless, the Brioni islands are liked not only from her nature, here is also found an interesting history which reaches from the antiquity till the present. The Kvarner bay, one of the most important destinations of Croatia, lies in the northeast part of Adriatic. Already since the 1950s tourists love the Kvarner bay with her many lonesome bays as well as the ideal district for sail fans. However, here not only in summer, also in winter there are countless holiday possibilities. Krk, Cres, Rab and Losinj belong to the most important islands of the Kvarner bay. Krk is, on this occasion, the biggest island of the bay and is connected even about a bridge with the mainland. Here one finds some of the nicest beaches of Croatia. However, beside the islands the Kvarner mainland also has to offer something. This applies from „Perle of the Kvarner bay “, to the popular resort Opatija with his villas over the island capital of Rijeka, the small small towns of Crikvenica and Novi Vinodolski to Senj. Furthermore the aerial health resort Lovran whose name is derived from many available laurel shrubs a visit is worth. Also here the locals live, above all, on the tourism, but also the carnival has here his origin. One experiences the Kvarner bay best of all if one spends his vacation in Croatia in one of the numerous summer cottages or at a small family hotel. Only so one can get to know the people with her hospitality really. Especially for yachtsmen is the north Dalmatia a popular destination, in particular the islands of the Kornati. The most northern part is the region around the capital of Zadar which is an ideal purpose for nautische water sportsmen by the distinctive coastal scenery. With tourists is liked very much the small place Petrcane, about 15 km away from Zadar. He is desired because of his excellent catering trade, to the big offer of holiday apartments as well as the numerous sports possibilities and entertainment possibilities. Before Zadar about 200 islands of the coast lie offshore, under it the island Pag which is famous, above all, for her sheep's milk cheese and hand-worked points. Also the island Ugljan which is dominated, primarily, by the fortress Saint Michael is worth a trip, because from here one can experience an intoxicating look at the island world. The resort Privlaka with a big offer of holiday apartments and rooms in the north Dalmatia allows a quiet and interesting vacation at the same time. This mixture is allowed, above all, by the nearness to the national parks Paklenica and Kornati. For likewise quiet and restful holidays is suited Pakostane which lies to the south of Zadar. This small harbour place lies on an isthmus. This separates Vrana lake from the sea. The region of Sibenik in the southern part the north of Dalmatia, is divided to the sea into two parts. Above all, the rivers Krka and Cikola as well as the lake Prokljansko deeply dig themselves in in the land. The dominating city of this region is Sibenik which shines by a picturesque bay. Also the cathedral Sveti Jakov which was appointed in 2000 the UNESCO world heritage is a centre of attraction for tourists. Important tourist centres are furthermore island Murter and Vodice with her nice beaches and quiet bays. The heart of Dalmatia is the region central Dalmatia. She reaches from the region of Trogir up to the Neretva delta. The biggest city of central Dalmatia is Split which is also the biggest city of Dalmatia with about 400,000 inhabitants. The heart of the city is of the more than 1,700 year-old Diokletian a palace which counts as a world cultural heritage of UNESCO. The places Makarska, Kastela and Trogir belong to the other important cities of means dalmatiens. The city of Trogir called last is a city as well as island. All houses located here are at least 300 years old. Visitors of central Dalmatia should visit furthermore the Croatian coronation city Biograd na moru which applies in the north of Dalmatia over a small peninsula. The city is a centre of a row of different coastal places to which also Turanj and Drage belong. The small town of Baska Voda which has developed from the former fishing village to a modern tourism place is as interesting. Besides, beside the interesting cities with her countless holiday apartments, rooms and houses in Croatia, tourists find different small islands and peninsulas in central Dalmatia. The islands Brac, Ciovo, Hvar and Vis which are convincing with small bays, nice beaches and good water sport possibilities belong to the most important ones. The biggest island of Dalmatia is, on this occasion, the island Brac which is with it also the third-biggest island of Croatia. The holidays centre of Brac is Bol which has become known, above all, by the beach known far away Zlatni Rog. The south Dalmatia belongs to one of the most popular holiday regions of Croatia. This has to owe the region, nevertheless, not only to her countless solar hours, also the natural nature, the partly still unoccupied and original islands, the crystal clear sea as well as the idyllic small places with her friendly and charming inhabitants are estimated by the vacationers very much. One of the most popular destinations in the south Dalmatia is the island Korcula. It is surrounded by crystal-clear sea, countless small bays load to stay and bathe one. The historical city of Korcula of the same name inspires through her picturesquely small lanes, to the old city tower of the cathedral Saint Markus as well as the old city wall which is adorned still today by the military pileworks. Also the peninsula Peljesac which is separated from Korcula merely by a narrow canal is convincing by her numerous beaches, to the water sport possibilities and the small hotels, pensions and holiday apartments which the vacation restful and allow to become quiet. Who visits the south Dalmatia, should also do absolutely an excursion in the city of Dubrovnik which is far known as „Perle of Adriatic “. In the Old Town the numerous cultural monuments which were explained by UNESCO already to the world cultural heritage are found. The city wall which is passable all around invites visitor to a walk, one finds numerous small cafés and Restaurantes on „Stradun “. The tourists the south Dalmatia who want to get to know the naturalness of this region should visit the small fishing village of Cavtat. The place itself is surrounded by vineyards as well as olive groves and cypress groves and grants such an insight into the wonderful nature. At the same time palms-lined promenades on the beach invite to long walks. Plitvice lakes or simply Plitvice, is the probably best known national park of Croatia. He was taken up already in 1979 as one of the first natural monuments in the list the UNESCO-world cultural heritage. The main attractions of the national park Plitvice lakes are a total of 16 small lakes which line up steps-shaped sloping. They are connected with each other by bigger and smaller waterfalls and distinguish themselves, above all, by her crystal clear water in inimitable blue-green colour. The lakes are fed, on this occasion, from numerous small brooks and rivers of the surroundings. On this occasion, in the course of the annual millions the water of the Plitvice lakes attacked the riverbeds and rock walls what depositions originated from, which form the so typical cellular dolomite today. The national park Plitvice lakes is from thick, nearly to spruce forests, firs woods similar to primeval forest and beech forests urround, also several caves, springs and meadows are to be found in the park. Also different rare animal species could set up by the untouched nature, one of it the brown bear. So that visitors can experience the national park Plitvice lakes to contamplate and, special vehicles go like panoramic trains or electric boats. In summer as well as in the spring, autumn and even in winter if the waterfalls have solidified to ice the national park offers unforgettable experiences. Croatia is a perfect dream for vacationers, so it‘s no wonder that is very popular with a lot of tourists. More and more people who want to spend their holidays calmly are coming to Istria, Kvarner Bay or to the Islands of Rab, Krk or Brač. All of the hotels in Croatia are ready for their guests and have a broad service as well as first-rate accommodations. Hotels Croatia can be found in different price classes as well as with different equipments. Guest who have small wishes can find the right place to stay and tourists with higher demands will not be met with disappointment. Many hotels in Croatia are family-businesses and offer the well-known croatian hospitality. Vacationers cannot only book an accommodation, it’s also possible to book with boarding. The for the region characteristic food will convince everyone and make a trip to Croatia even better.